Arlington Court is hidden in a wooded valley on the edge of Exmoor. 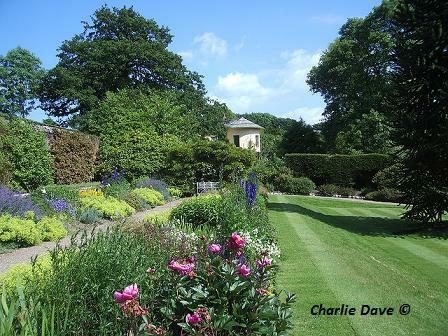 Arlington Court and Garden - There is a Victorian garden complete with conservatory and ornamental pond. 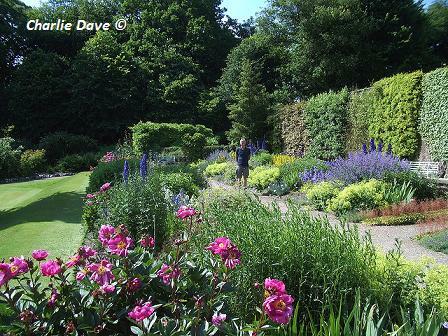 A partially restored kitchen garden which produces fruit, vegetables and flowers for the House and Tearoom. Stunning walks in the historic parkland including stream fed valleys and tranquil lake with heronry and bird hide. In Spring there are lovely drifts of bulbs, followed by azaleas and rhododendrons. Take time to visit the House including a great collection of shells. There is also a collection of over 50 horse drawn carriages. If you want to find places to stay near Arlington Court and Garden, why not stay in one of our recommended hotels. Arlington Court places to stay - click here.